A translation is only a compromise at best, and effected with a sense of resting in defeat. It has therefore always some need of apology, especially to those who are already acquainted with the original, and for a work which is entitled to a high place in international literature. 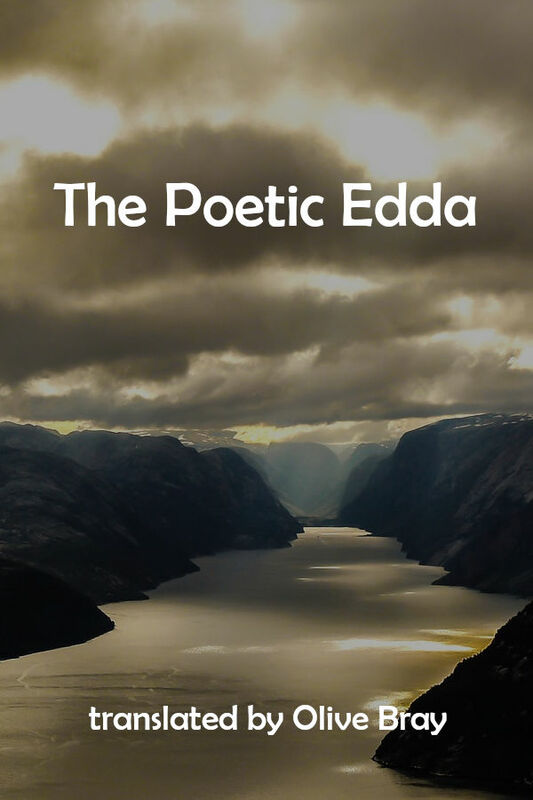 Such place we claim for the Ed da, not only as the fountain head of Germanic mythology and tradition, but for its own beauty of expression—the art of the Scandinavian poets. They sent it forth long since armed with winged words and girded with power, and only for want of speech in different tongues has it remained so little recognised. Two previous renderings into English by Thorpe and York Powell might well have proved its worth, but the first was allowed to fall out of print while interest was only beginning to awaken, and the second is included in the Corpus Poeticum Boreale with other less worthy material in a form that cannot appeal to the general reader. Both have been used in preparing the present book, which is offered less to scholars and students than to all who have sufficient taste for mythology, and understanding of old lore, to recog¬ nise the truth and beauty which are not expressed in precisely the forms and language of today ; but who are also insistent, like ourselves, that old books are not true because of their age, nor old lamps beautiful unless they can be polished anew. To satisfy truth and for fear of doing injustice to the original, we have endeavoured to keep the translation as literal as possible, though ambiguity in the original occasionally necessitates interpretation by a somew hat freer rendering.